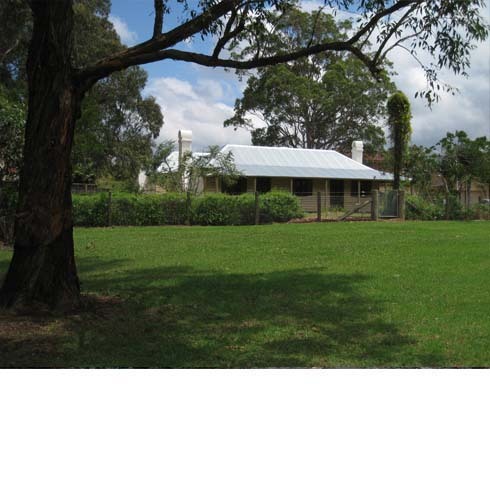 Exeter Farm, Glenwood, consists of two c1850s modest timber-slab cottage buildings located on the northwest outskirts of Sydney. Once common in the Sydney region, 19th century timber slab cottages are becoming increasingly rare and Exeter Farm is one of the least altered known examples. It is the latest project conserved and saved through the Endangered Houses Fund program of the Historic House Trust. The conservation work involved major structural repair, replastering, recladding, new floors, services and extensive landscaping and all sound original material was retained. The project demonstrates that good sustainable and economic conservation outcomes could be achieved on what was originally perceived as an almost impossible task. In 2012 Exeter Farm was awarded the AIA (NSW) Greenway Award for Heritage Architecture.